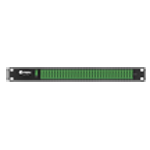 Optical splitters for rack mounting are supplied in a 19” sub-rack for 1RU height. The units can accommodate splits up to 1x64 in 1RU with SC/APC or LC/APC connectors. 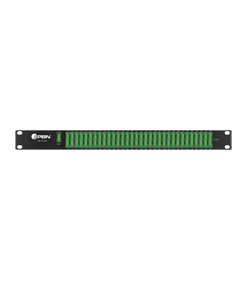 PBN offers a wide range of splitter configurations to suit the specific requirements of customer networks. The OSF-19 was designed primarily for fiber-splitting within CATV headends, with a premium optical performance. All inputs and outputs are available on the front panel and are clearly marked. The front panel can be configured for special splitting arrangements, such as 4 x (1x4) and similar customized versions. This flexibility allows PBN to cater for any possible customer requirement. * The tolerance of optical insertion loss for each product is ±0.5 dB, that including connector loss. (1) The total ports number of [W] x [X] x [Y] should no more than 64 (and 8-1x8 is not available). For detail models please contact your PBN representative.